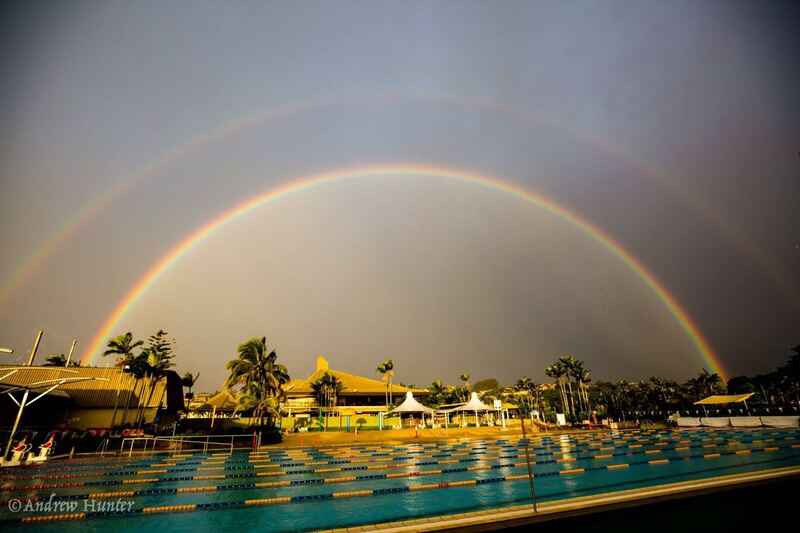 At the Oasis Pools at Club Banora we have a rich history of teaching everyone from babies to seniors how to swim to the highest competition standards or to be prepared for fun at the beach. Level (1) One is for ages 4 months to new 3 year olds. Parent & Child Together. Parent learns fundamentals of swimming instruction and SwimSafe method. learn "how-to-teach" your child to swim. Create positive learning experience. Build confidence and FOCUS ON FUN, PLAY, AND SAFETY. Develop floating and gliding skills. Strength and coordination drills. Learn the Swim-float-Swim survival skill. Class is 30 minutes in length. Level (2) Two is for 3-5 years old beginners. Class designed for 1st timer; new experience. NO previous swim classes. Water confidence, floating, gliding and safety skills. Progressive Float Method practiced and mastered. Lessons in shallow water and steps. SwimSafe skills and swimming techniques introduced. Kicking and arm strokes. Learn to swim 15 to 20 feet. Swim-float-Swim safety skill. Shallow water lessons, on steps. Level 2 Days and Start Times: Mon/Sat from 8.30am & Mon/Thurs from 3.30 space is limited to 4 per lesson. Level (3) Three is for Confident 3-5 yrs old with previous lessons and pool experience. Review SwimSafe and survival swimming skills. Accelerate Natural Swim Abilities/Reflexes. Strength and conditioning. Distance and stroke development. Progressive Float method. Floating and gliding skills. Develop "free-Style ,Back st, Breast" swimming and refine stroke and kicking. Swim-float-Swim safety skill mastered. Level (4); 6 - 9 yrs. old. Swim unassisted. Primary skills and drills to develop freestyle, breast stroke and back/side swimming. SwimSafe test and review. Distance and stamina training. Refine and focus on proper stroke technique and kicking. Deep water lessons. Advanced survival skills reviewed and mastered. . Junior & Senior Squads (Waterdragons) Mon-Fri 5.30am, Sat 7.30am, Mon-Thur 3.30pm - Swim techniques developed for Pool, Surf and Triathlon competition. Levels catered for - District, State, National through to International. Stroke development, focus to increase the efficiency of movement. Talk to your child positively about swimming and learning to swim. Give love and praise continually. Emphasize how much "FUN" it is. Be patient and positive. Practice holding breath and blowing bubbles. Practice BOTH; and develop confidence and timing. Teach your child how to stretch and how to do 3 to 5 basic push ups. Develop strength and coordination. Your child should be comfortable and confident with WATER dripping on their eyes, nose and face; have your child alternate baths and showers. Practice holding breath for 3 to 5 seconds in the water. Practice big "arm circles" while standing. Take frequent lessons and give your child the opportunity to swim. Be patient and understand a minimum 5 to 6 weeks of swimming lessons is necessary for best results. I want to have learn how to swim but I'm an aqua phobic. I'm looking for swimming lessons for my kids. I'm an adult who has tried swimming lesson in the past, but without success. I can swim a little but want to learn to swim better. I'm an accomplished swimmer who wants to review my skill and refine my technique. All of you have come to the right place! Our certified swimming instructors will help you solve your problem. Learn to swim in a fun and environment without stress with us! At Oasis Pools we nurture development of positive character through participation in competitive swimming! 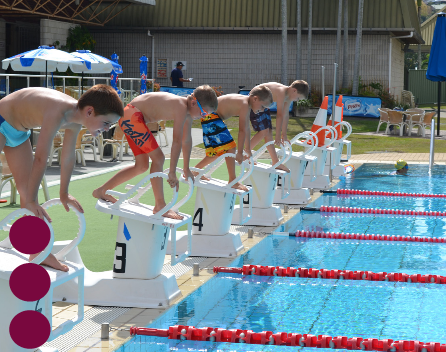 Our programs are designed to maximise the potential of every swimmer no matter what their goal or age. Our swimmers are consistently educated, encouraged, challenged and motivated in this fun sport to that they can be safer in the water throughout their lives! Oasis Pools is extremely conscious of the need to maintain the quality of the water in all of its pools and the cleanliness of the amenities. Read about our procedures that have been in place for over 20 years to protect our guests. 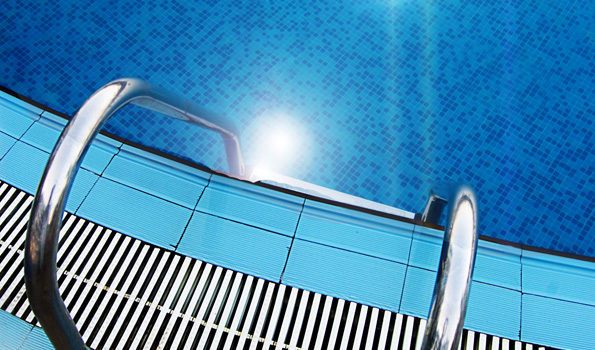 We have industry leading water heating and treatment facilities at Oasis Pools Banora Point. The trigeneration plant and the chemical treatment components are second to none. Club Banora is a huge, family-friendly oasis of recreation, relaxation and fun, located just five minutes south of Twin Towns. This country-club-style venue has a challenging nine hole golf course, all weather tennis courts, lawn bowls, an Olympic size swimming pool, children’s leisure pool and outdoor play area (heated to 26 degrees during winter). Parents can relax with a drink in the sunny outdoor area overlooking the bowling greens while keeping an eye on the kids as they enjoy the play facilities. Patrons can catch the free Club to Club Bus Service which operates between Twin Towns, Twin Towns Juniors and Club Banora.